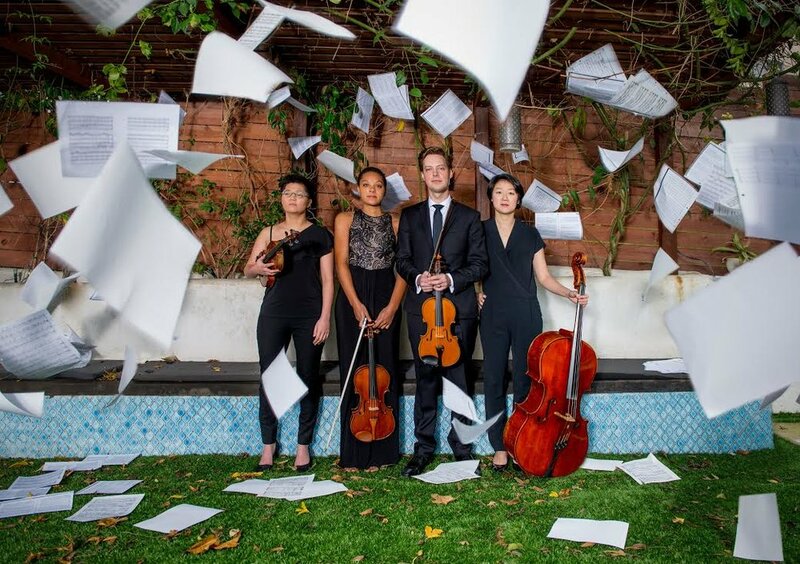 Argus Quartet — Laguna Beach Live! Praised for their "supreme melodic control and total authority," (Calgary Herald), the Argus Quartet is quickly gaining a reputation as one of today's most dynamic and versatile young ensembles. First prize winners of the 2017 Concert Artists Guild Victor Elmaleh Competition, and the 2017 M-Prize Chamber Arts Competition, the Argus Quartet’s recent and upcoming performances include appearances at Carnegie Hall's Weill Recital Hall and Zankel Hall, Roulette, the Albany Symphony's American Music Festival, Bang on a Can at the Noguchi Museum, the Hear Now Music Festival, Providence College, the University of Michigan, James Madison University's Contemporary Music Festival, Princeton University, the Shalin Liu Performance Center at Rockport Music, and the Muziekgebouw aan ‘t IJ in Amsterdam. The quartet has played alongside many of today's leading chamber musicians, including the Brentano Quartet and David Shifrin, and have performed works by some of the most important composers of our time: Augusta Read Thomas, Garth Knox, Jason Eckardt, Christopher Theofanidis, Martin Bresnick, Andrew Norman, and many more. In the Fall of 2017, the Argus Quartet will begin an appointment as the Graduate Quartet in Residence at the Juilliard School, where they will will work closely with the Juilliard String Quartet - Argus will make their Lincoln Center recital debut with a performance at Alice Tully Hall in May of 2018. For music samples click here.